This post was graciously sponsored by CampusBookRentals.com. They offer free shipping both ways on rented text books (and yes, you can highlight in the books!). They also have a program called RentBack that allows you to make money from renting out your old text books. Now, down to business...my favorite thing about CampusBookRentals.com? 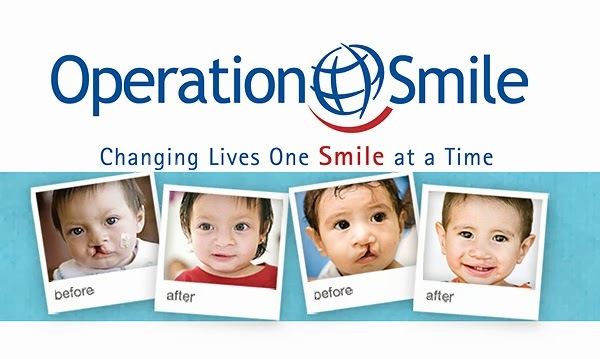 The company partners with Operation Smile and donates to the awesome cause of healing kids' smiles with each textbook that is rented. Now there's a reason to beam from ear to ear! 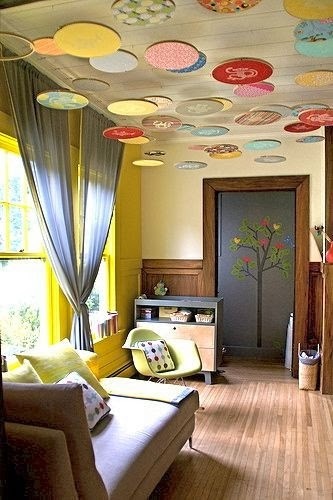 On that happy note, here are some inspiring ceiling treatment ideas that truly make me smile! 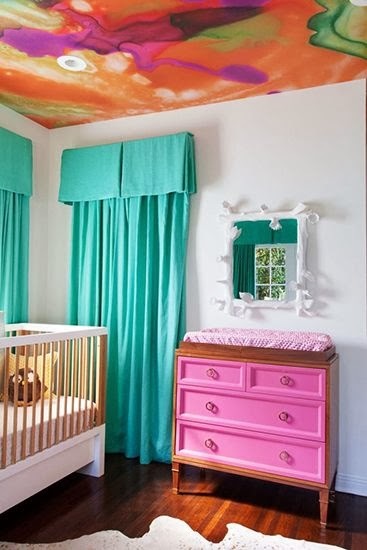 The below ceiling is covered with gorgeous custom watercolor wallpaper by Black Crow Studios. Isn't the agate-like detail and color amazing?!? 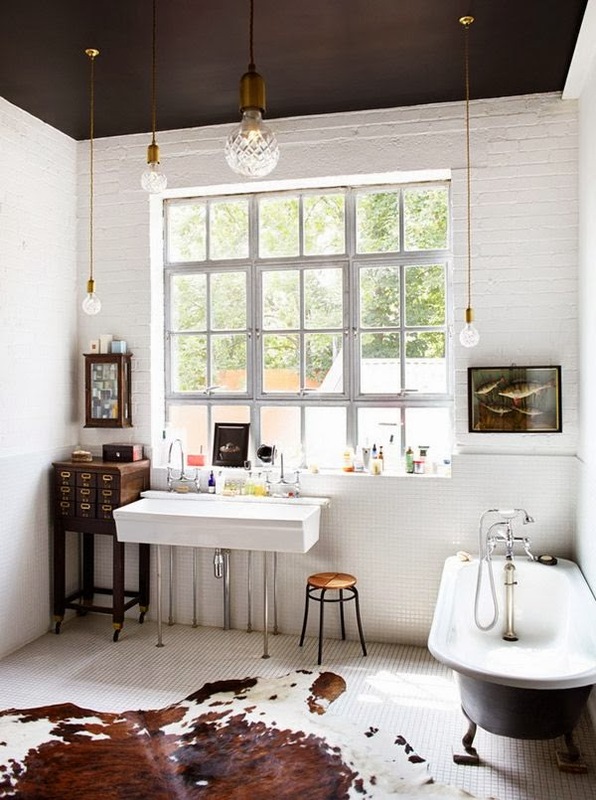 The moody but ultra-cool look of this matte black ceiling could easily be replicated with chalkboard paint! If you're feeling crazy, add a cute star or two to make it look like a summer sky. Why not put the wood on the ceiling instead of the floor? Such a creative design choice! How dreamy is this? 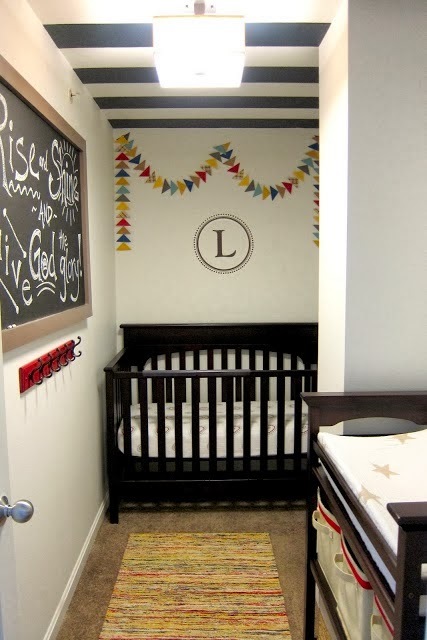 Suspended embroidery hoops covered in fabric...so perfect for a playroom or nursery. I love the drop crown moulding and the way the color is carried down from the ceiling in this space. It has such a serene cocooning effect! What a perfect way to add modern industrial detail to a drop-ceiling. 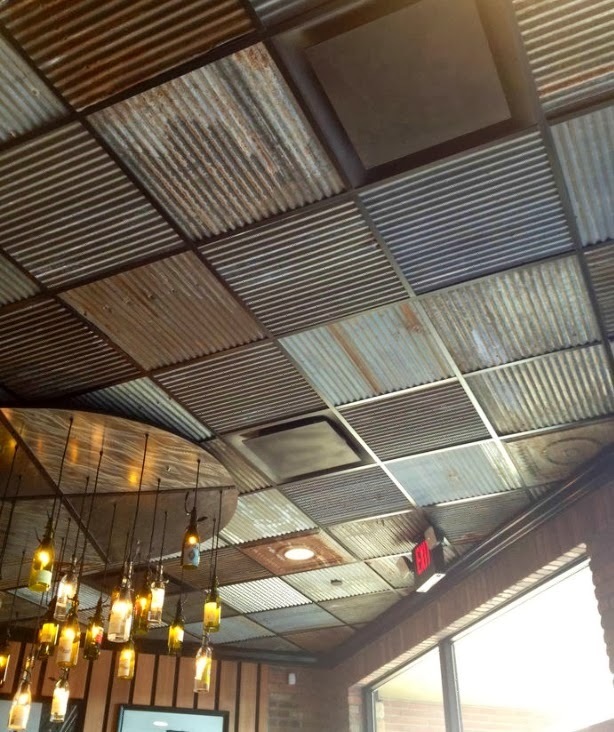 The corrugated metal panels look even more cool rotated in different directions. This idea would be great for a basement with those dingy white acoustical ceiling tiles! 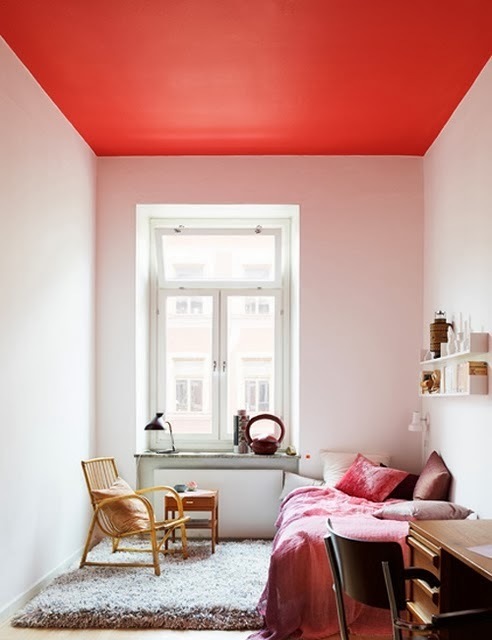 A red ceiling creates such a pretty glow throughout this space. 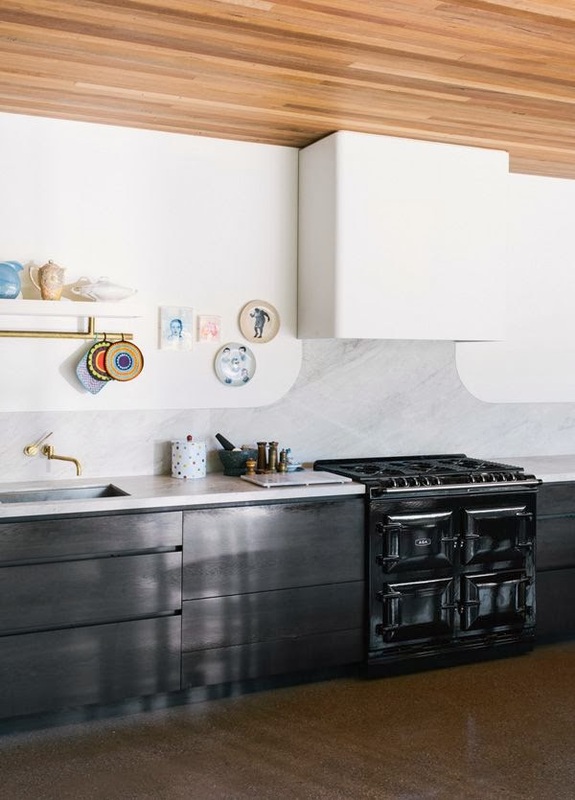 This would be a great treatment for any room with white walls and minimal furniture...the ceiling becomes a piece of art as the only major focal point in the space. Nothing beats a good stripe ceiling in a room that needs to be visually widened. 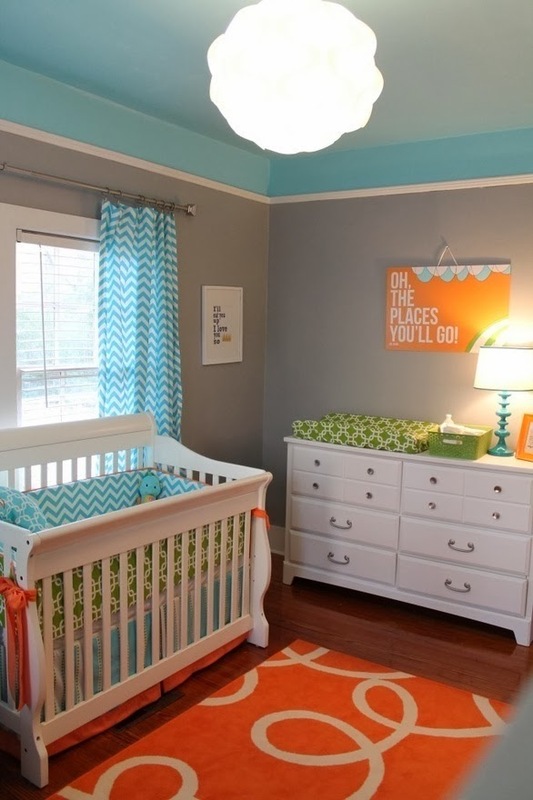 Just make sure to run the stripes parallel to the shortest side...and don't forget to paint over your painter's tape with the original ceiling color before painting in the stripes (that seals the tape line and keeps you from hours of touch-ups...trust me). Which ceiling idea sparks your fancy? See one you'd like to try in your home? Do tell!